SOUTH BOSTON – For the third year in a row the 200 member Smedley Butler Brigade, Chapter 9 of Veterans For Peace will lead the St. Patrick’s Peace Parade through the streets of South Boston on Sunday, March 17, one mile behind the 1st parade. Once again Veterans For Peace are organizing a parade that is welcoming and inclusive on the streets of South Boston. This is in direct conflict with the policies of the organizers of the first parade that exclude veterans who have dutifully served their country, many in war, but who now work for peace and members of the Lesbian, Gay, Bi-sexual, Transgender (LGBT community). 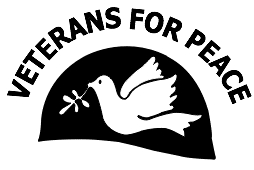 Veterans For Peace were denied to walk in the 1st parade in 2011 because the organizers of the first parade “did not want to have the word peace associated with the word veteran”. Being aware of the longtime exclusionary and discriminatory practices of the organizers of the 1st parade towards the LGBT community the veterans decided to have their own welcoming and inclusive parade. The first group they reached out to was the LGBT community saying to them, “you were denied to walk in their parade eighteen years ago, how would you like to walk in our parade”. The LGBT group Join the Impact immediately accepted the offer. “There is one big difference from previous years” added Scanlon. “For the past two years the Boston DPW had crews breaking down the barriers and cleaning the streets with street sweepers right behind the 1st parade. What did that signal to parade watchers; the party is over, go home. This year the DPW crews and the street sweepers will be behind our parade”. Lawyers from the ACLUM and LeClair Ryan negotiated with the city to guarantee fair treatment for the Peace Parade. This means that potentially tens of thousands more people will see and enjoy the Saint Patricks’ Peace Parade. The party is not over until the street sweepers sweep, please stay, enjoy and celebrate.